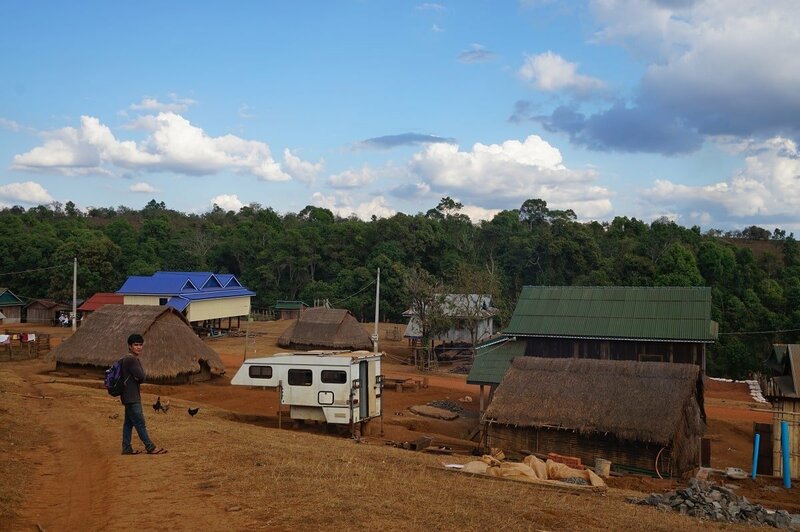 In the Wild East, as they call it, lies the remote province of Mondulkiri – Cambodia’s largest and also most sparsely populated area. Located in the south-east part of the country bordering Vietnam it is still a quite unknown territory for touristic settlements. 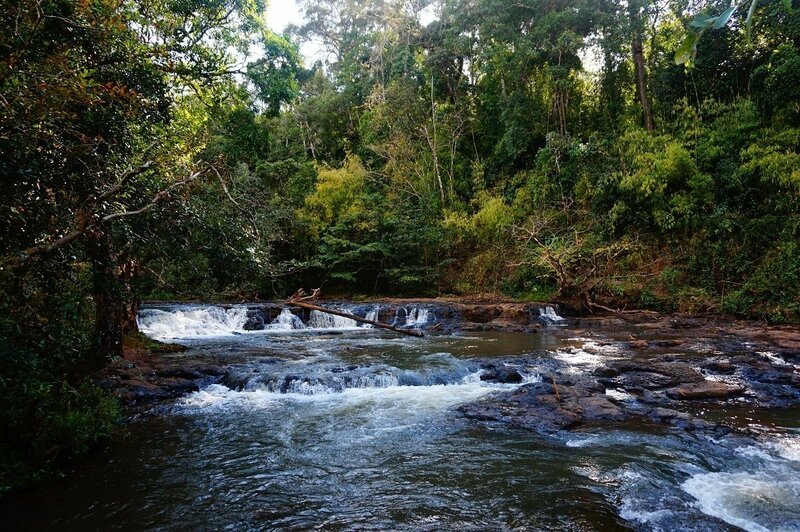 Literally translated as “meeting of the hills” it is a very tranquil and beautiful part of Cambodia – with its landscape offering a diverse mix of hills, dense forests and hidden waterfalls. Wild animals such as bears and leopards still roam these jungles. The province is also home to traditional villages of the Bunong people as well as some Elephant conservation projects and sanctuaries – with this actually being the main reason for us driving all the way out there. Beforehand you should do a little research as to what kind of tours are being offered. Personally, we are not too much into taking part in organized tours but in this case it is definitely worth doing so. 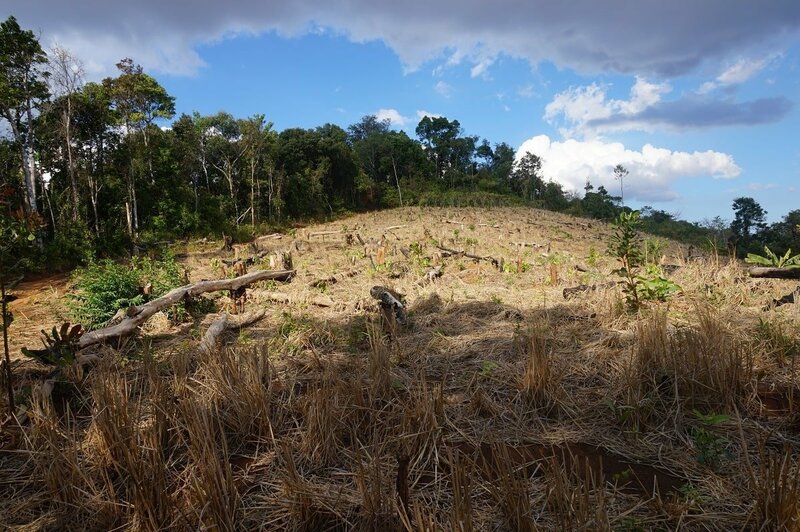 We decided to join the Mondulkiri Project – an initiative not only supporting the elephants but also the indigenous people and forests around. They have created a sanctuary for abused elephants from all over the country and are now even planning to start a breeding program. 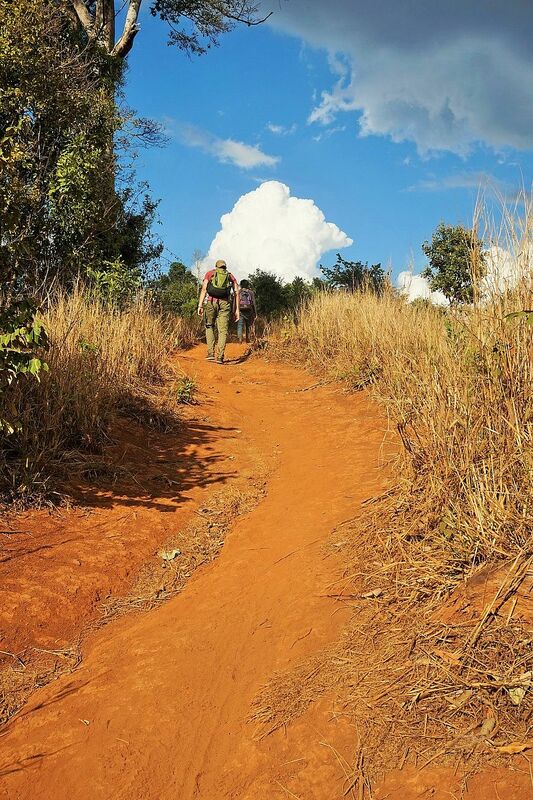 We opted for the 2-day elephant and jungle trek tour, allowing us to experience the full beauty of what Mondulkiri has to offer. The tour includes meals, water, guide fees and transport and is priced at 75 USD/person – surely a great deal of money but we knew it was for a good cause! After having a relaxing overnight at the Nature Lodge we got collected and brought to the starting point of the tour. 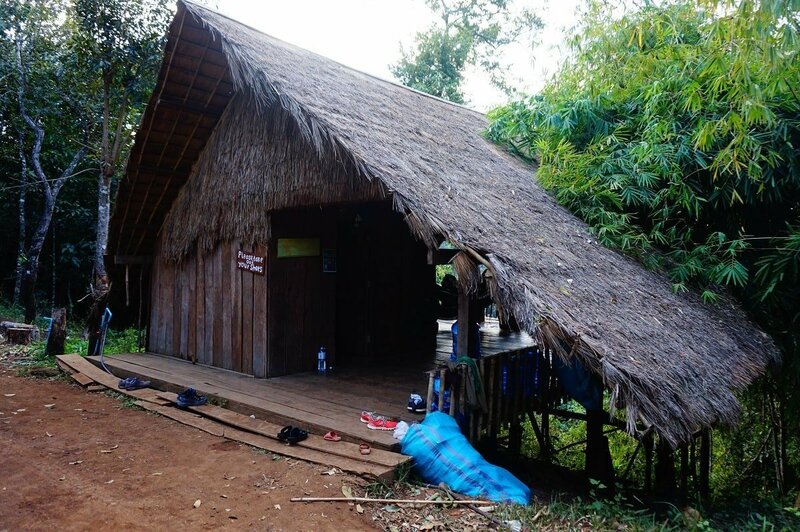 It was a nice “back of the pickup truck” ride over the hills and into the thick forests until we arrived at a small hut which turned out to be our home for the night. The tour was setup so that we could see and join the elephants roaming freely in the forest on the first day and then do the trek on the second day. 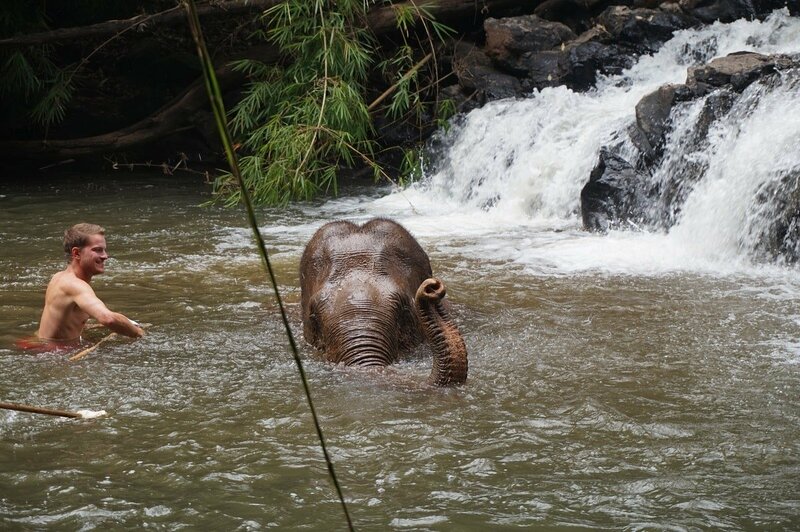 We even got the chance to take a bath with one elephant! It was very impressive standing by such huge animals, especially in the water. We were frightened and excited at the same time but it was such an overwhelming experience! 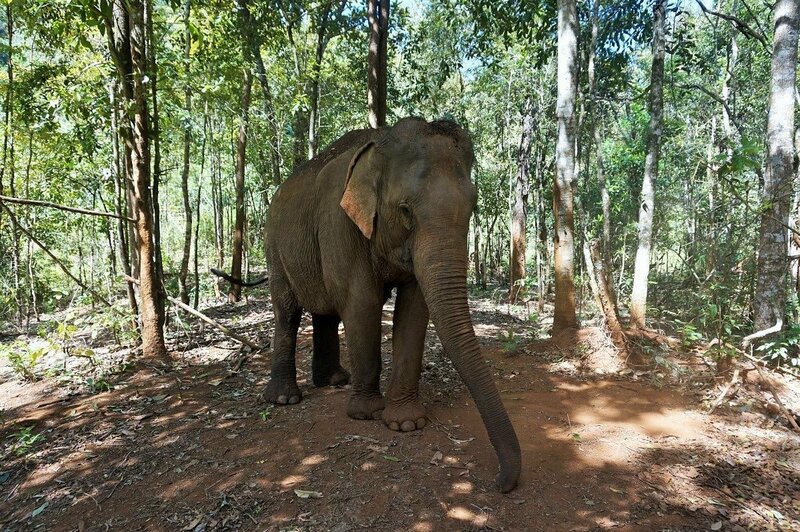 Each elephant is accompanied by their mahout, usually a member of the local Bunong tribe who would take care of the it. 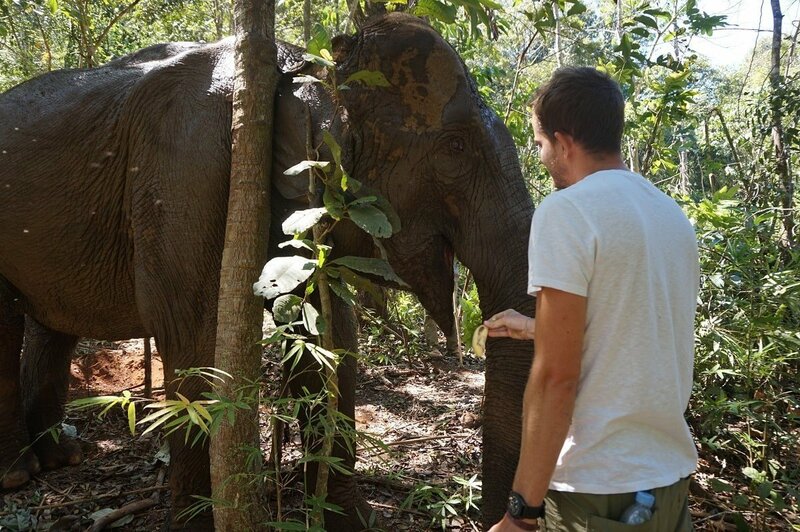 We were given some bananas to feed the elephants and had an amazing day wandering the forests with these beautiful giants. We learned a great deal about their behaviors and were able to spend a lot of time with them. There was no riding involved as this was strictly prohibited since it is not something that elephants enjoy doing – please keep this in mind before going here. The nice thing about this place is that the elephants can actually do what they want and are not forced to do things they don’t want to. At last, the first elephant arrived! We spent the night in some neat hammocks (which was fun ;)), enjoying some great company and food and a nice view down into the forests. 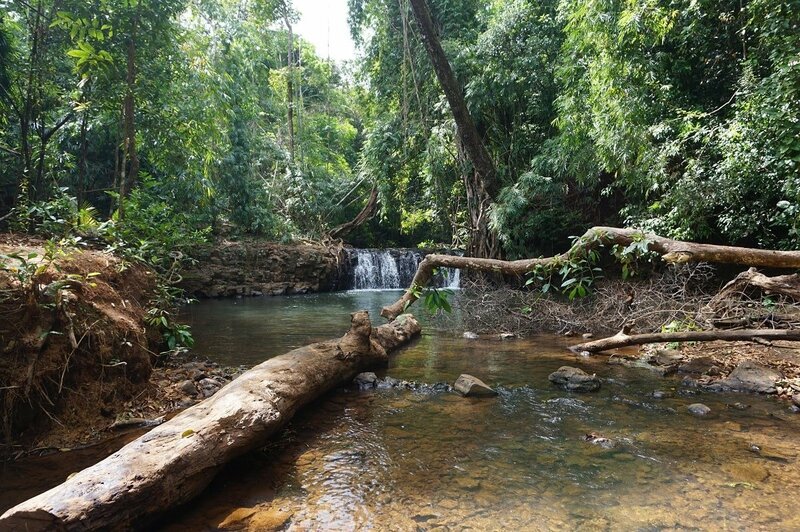 Along with a guide and another couple we walked through the jungles of Mondulkiri – discovering beautiful waterfalls, rivers and natural surroundings. We climbed hills, swam in small creeks, jumped off waterfalls, crossed rivers and learned a great deal about different animals, insects and plants along the way. It was quite tiring at times but it was worth the effort. 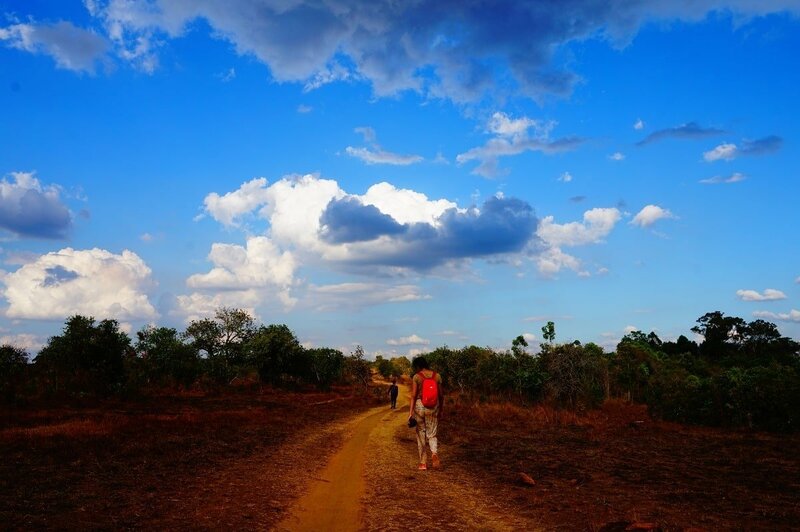 The trek takes the entire day and we walked roughly 20 kilometers until we finally reached the village. Working our way up that last hill! We finally reached the village! 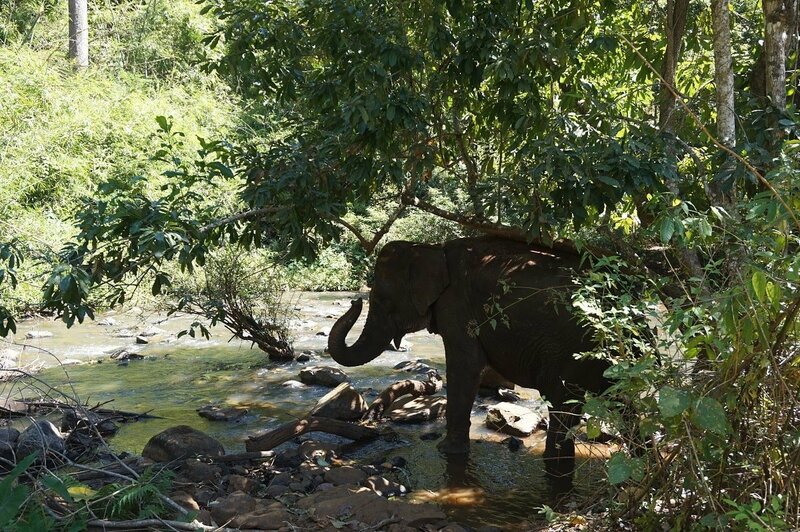 The combination of being with the elephants as well as having the chance to experience the forests of Mondulkiri made our visit to this rural province a very special one. We really enjoyed this adventure and will keep the encounter with these beautiful elephants forever in our memories. 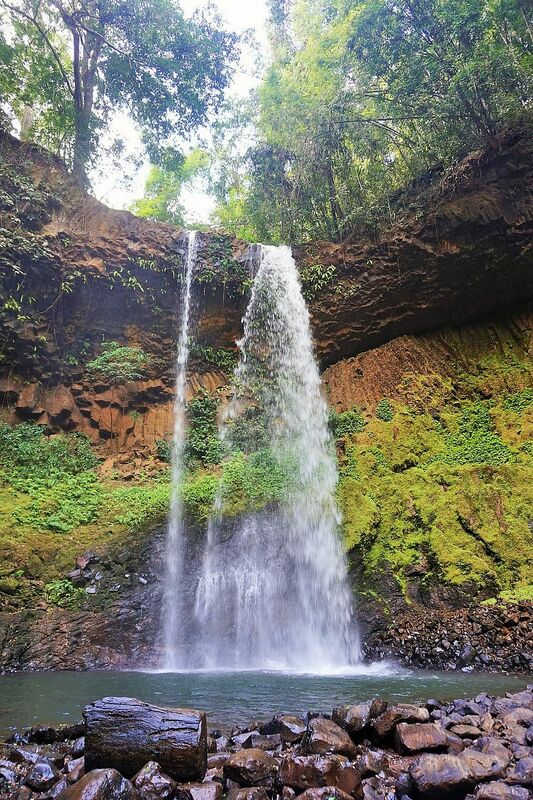 If you want to experience a different part of Cambodia and escape the heat of the lower plains you should definitely take a visit to the Mondulkiri province. 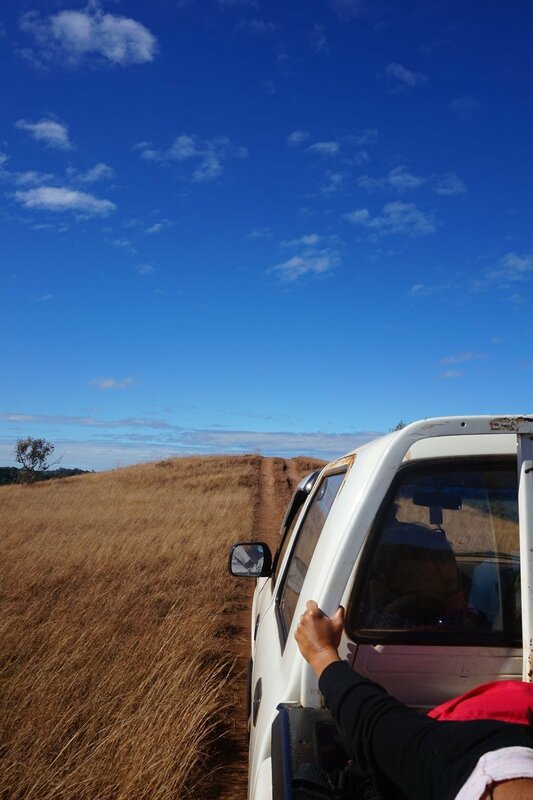 We had a good time joining the Mondulkiri Project and felt in good hands all along the way. I absolutely loved Cambodia when I visited, but of course I did the usual and only stayed around the Siem Reap area. It’s a country I’d like to get to know better though, so this sounds like an ideal tour. 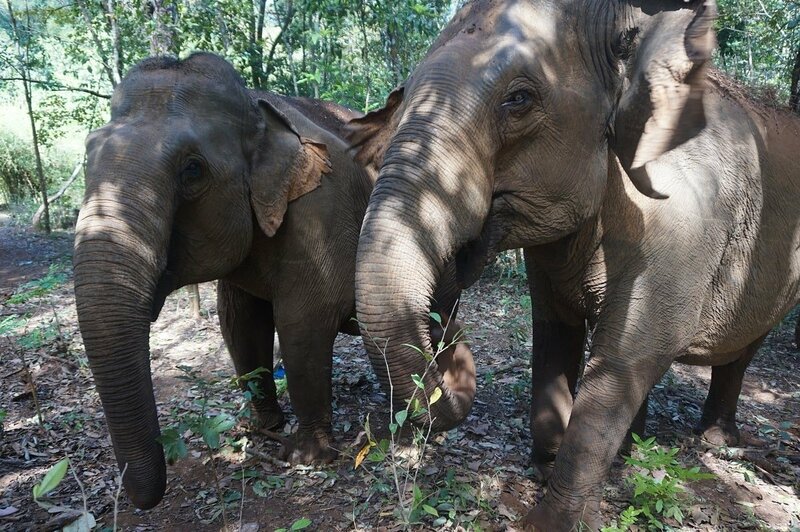 I’m glad to hear these elephants are being looked after properly, and I wouldn’t want to ride an elephant anyway if it’s not something they like to do! I also love the varied scenery you found. Not what I was expecting, but awesome! Whew. I was a bit concerned when i first started reading this but I am glad that you chose a visit that does not involve rides. This looks like an awesome experience! Thank you Aisha, it was an incredible experience! It was just great to follow the elephants in their natural surrounding, memorable moments. Ahh this sounds amazing! 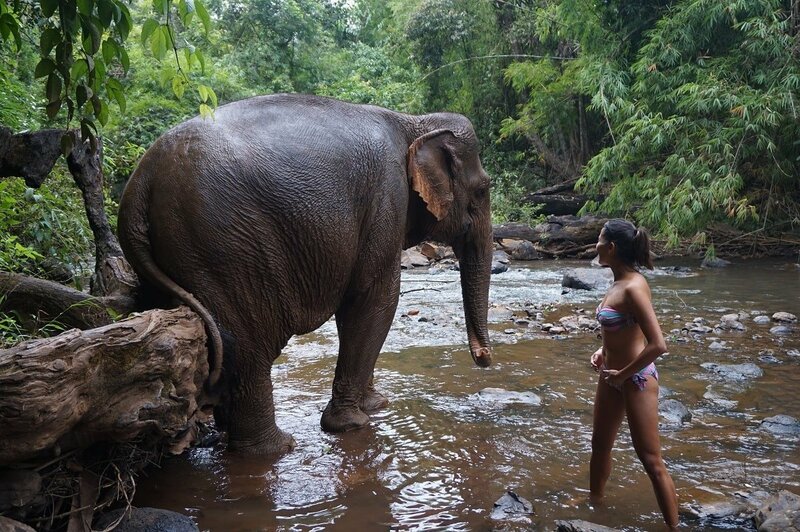 I’m currently in Siem Reap and recently had an elephant experience in Chiang Mai, but I would have loved to have done this. Oh well, another excuse to return to this part of the world! You should drop by there, quite a nice experience and probably also a bit different from the other ones. Wow, this sounds like such a wonderful experience! 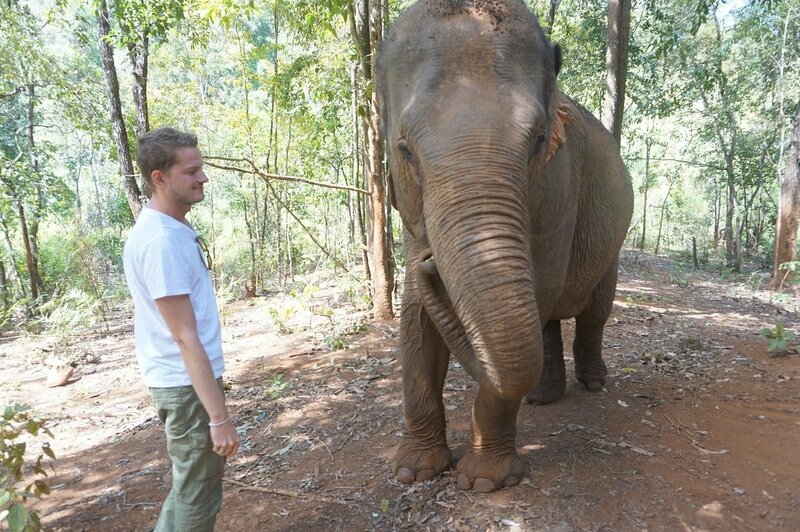 I volunteered with elephants in Thailand and loved it but I would love to do something like this as well. 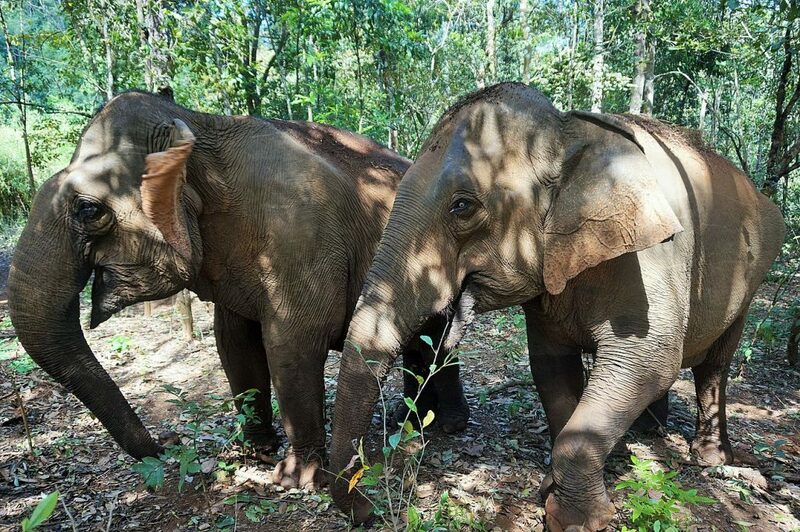 So happy to hear these elephants were treated well! What an adventure. I love the trek you had and every spot of the adventure looks fantastic, especially the waterfalls. Some incredible spots here. Cambodia is full of places like this. Looks like you guys had a great time! I’ve been to Cambodia several times but never here. The pics look amazing! I would love to go back to this area. 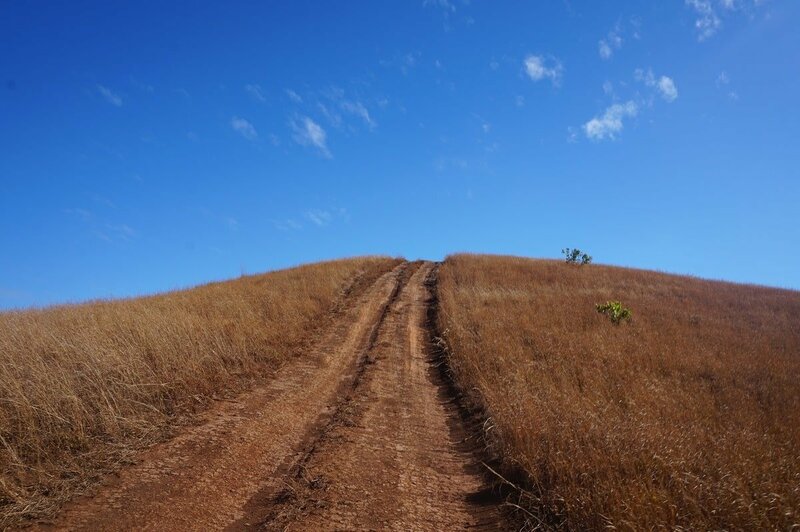 Hey Nathan, yes, you should go back and check out Mondulkiri,a very rural and beautiful spot there! Oh my, what an impressive day with the elephants. I love that you got to feed them and splash around in the water with them. Kudos to you for taking an ethical elephant trek. Thanks for sharing. Thank you, Melody! It was a great experience! Sounds like an absolutely amazing experience. Have not been to Cambodia yet but would definitely like to go. this is incredibly beautiful and the elephants look happy. 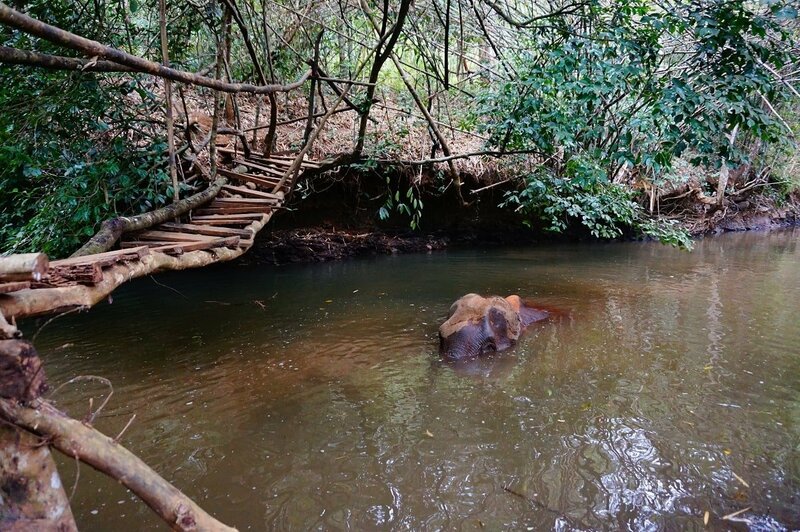 i’ve seen other bloggers with elephants that are so miserable, and elephant’s memories are so incredible so i’m sure they will remember you as much as you remember them 😉 that trek looks AMAZING. Many thanks! Think they will remember about all those back-scrubs and bananas that we gave them 🙂 Very nice trek as well, you should check it out. I went to Cambodia last year but this is the first time I’ve heard of Mondulkiri. 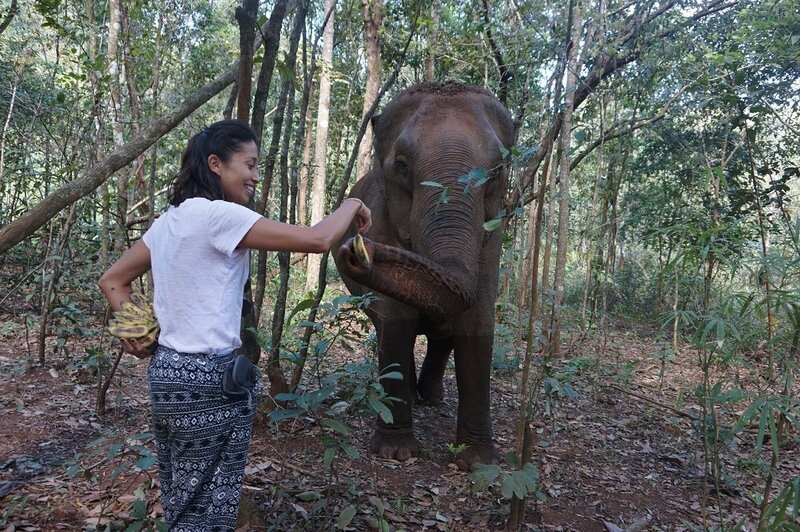 I’d love to go back there and meet the elephants myself, they look really cute. It is definitely a great experience! We highly recommend this place. If you need more info, let us know 🙂 We are more than happy to help. This looks incredible . I love waterfalls and elephants! 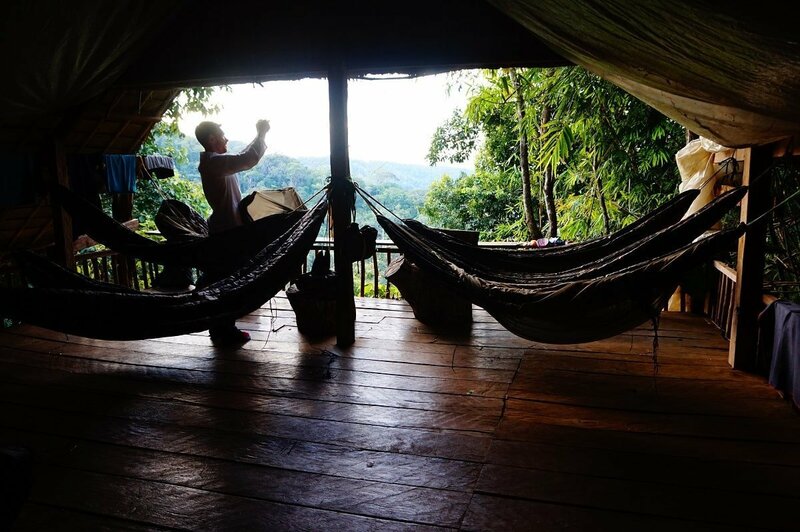 Did you not get eaten by mosquitos when you slept overnight in the hammocks? Hi Gelasio, starting a blog is not complicated but keeping it updated with quality content takes a lot of time and effort. Make sure you set our target and keep your goal in mind. it and revisit to read through more of your useful info. upon the top and also defined out the entire thing with no need side-effects , folks can take a signal.